Humans sure take a lot of pride being "top of the food chain", but I can assure you it's only because we're slightly more clever and built cities and houses. Drop most modern day people off in the middle of nowhere and they'll quickly figure out where they stand, especially if there's bears around. 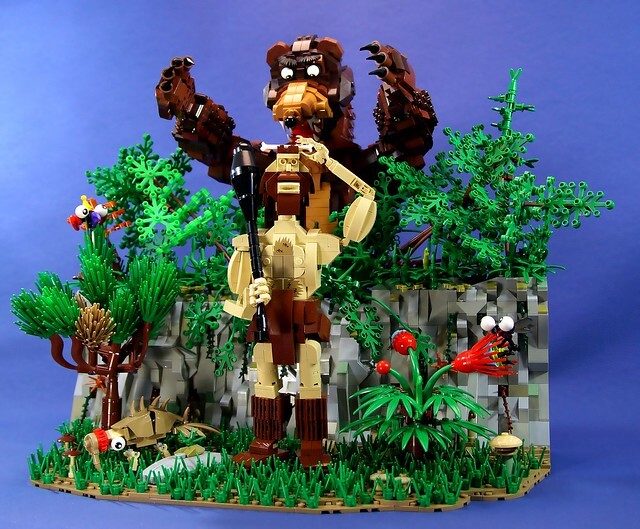 And this is nothing new, as illustrated in this hilarious MOC by lummerlander. You would think after tens of thousands of years we'd learn...nope.